After a ten-year journey Rosetta and Philae have finally reached their destination, Comet 67P/Churyumov–Gerasimenko. Rosetta and the ESA spent the last few weeks studying the comet to find the best place for Rosetta’s lander, Philae, to land. If all goes according to plan, Philae will land on a site named Agilkia on November 12, 2014. If the Philae lander is successful, the ESA will make scientific history by being the first to explore a moving comet from the surface of the comet itself. The Rosetta mission has already come closer to a moving comet than any man-made spacecraft ever. 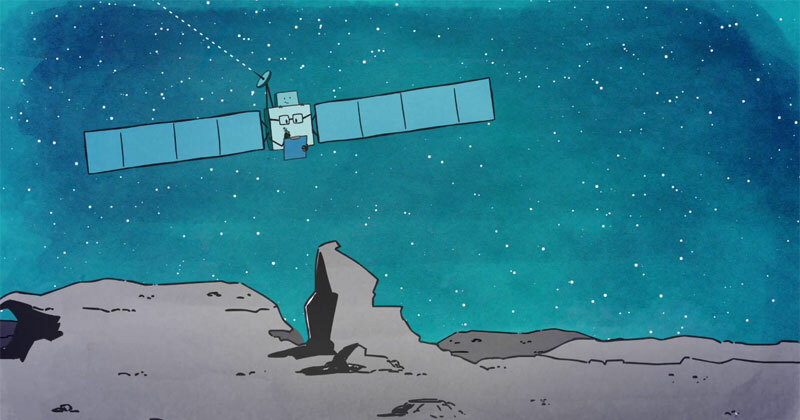 Check out the animated gif below to see the incredible 10-year journey of Rosetta to get to this point!